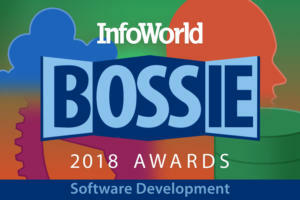 Every January, InfoWorld's reviewers pick the best products they encountered in the past year -- the best hardware, software, development tools, and cloud services we had the pleasure to meet. Among this year's collection of favorites -- 35 products in all -- you'll find everything from the hottest Web technologies to cloud-inspired data center hardware to the cloud-based services taking the world by storm. Scala's appealing fusion of the object-oriented and functional programming paradigms has brought it a substantial following since its introduction in 2003. Scala has demonstrated that you can have the benefits of compile-time static typing -- with a very powerful type system -- while preserving the "rapid application development" aspects and productivity usually associated with dynamically typed languages. Featuring excellent support for concurrent programming using the Actor model, as well as terrific supporting libraries and frameworks like Akka and Play, Scala is poised to be a major mainstream player for decades to come. The most complete and polished data center orchestration toolset available, Puppet is also one of the oldest, and much of its prowess comes from the years of development leading up to the latest release of Puppet Enterprise. Puppet is built on a Ruby foundation, and it uses a master/agent control platform to manage server nodes. 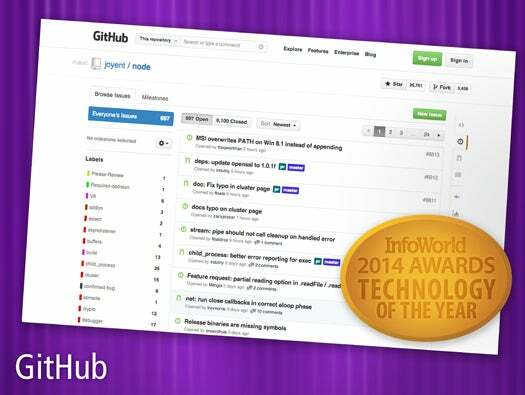 It has robust management methods, tons of available configuration modules, and solid Web-based UI and CLI tools. It does require a fairly deep knowledge of Ruby to customize to a specific infrastructure, and for general admins, Ruby programming will present a learning curve, but many shops will be able to use existing modules to cover the majority of their needs. What began as a simple solution for speeding up WAN traffic has evolved into a full-blown enterprise traffic management platform. 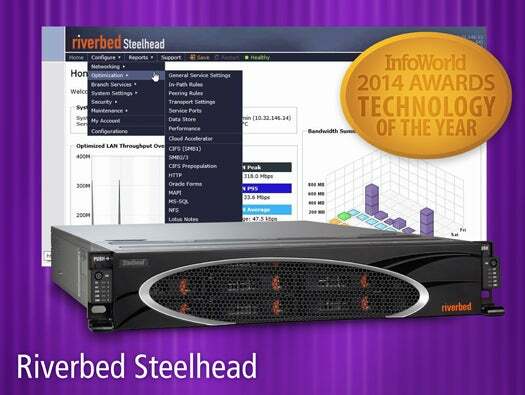 Riverbed's Steelhead appliances smooth WAN traffic flows through packet-level and application-specific optimizations, and improve bandwidth utilization by keeping redundant bits off of the wire. The RiOS 8.5 release brings even greater levels of traffic control with the likes of dynamic path selection, improved QoS support (global DSCP marking), and new application-specific enhancements for Apple HTTP Live Streaming, SharePoint, SMB3, and the use of Kerberos for external managed services. With RiOS 8.5, the Steelhead also provides a richer view into the traffic flowing through the network, adding signatures for more than 100 new applications to its Application Flow Engine. The next generation of the well-respected BackTrack live CD distribution, Kali Linux bundles only the best of the best security tools into a complete, soup-to-nuts, computer security testing toolbox. All the tools in BackTrack were reviewed for functionality and overlap and pared down to the best and most useful. The result is more than 300 tools for penetration testing, security auditing, digital forensics, network scanning, password cracking, and wireless network exploitation, all wrapped in a hard-candy Linux. The Kali distribution can be readily customized down to the kernel for a specific security task, and it runs on a wide variety of hardware platforms, including ARM. Every security professional should have Kali Linux in their bag. iOS 7 has grabbed a lot of attention over its retooled UI. But the hullabaloo has obscured changes in iOS 7 that are making tablets and smartphones more able to supplant PCs over the long term as the common computing platform. For starters, it's the first 64-bit mobile OS, with a compiler available now to create 64-bit apps. Over time, this will power mobile apps to desktop-class performance. iOS 7 also makes iPhone and iPad theft unprofitable thanks to its activation lock that even a wipe can't defeat. And enterprises gain a new set of management APIs around what really matters: apps and content. 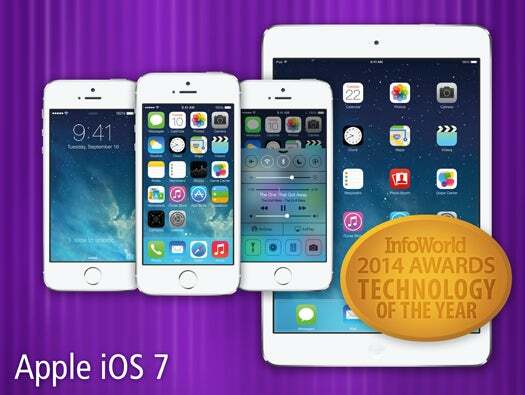 iOS 7 moves the security and management ball to a new playing field. Even as rivals strive to narrow the gap, the distance between Amazon Web Services and the competition only seems to widen. The Amazon cloud's petabyte-sized data warehouse, Redshift, launched with blazing fast I/O for remote analytics. Amazon entered the VDI business with Amazon Workspaces, offering up Windows desktops in the cloud. The OpsWorks beta is shaping up to bring automated, end-to-end stack creation using enterprise-friendly tools and templates (like Chef). And Amazon continues to come up with incremental but important enhancements -- such as better load-balancing tools inside the management console and the new Trusted Advisor best practices interface -- all while rolling back prices. 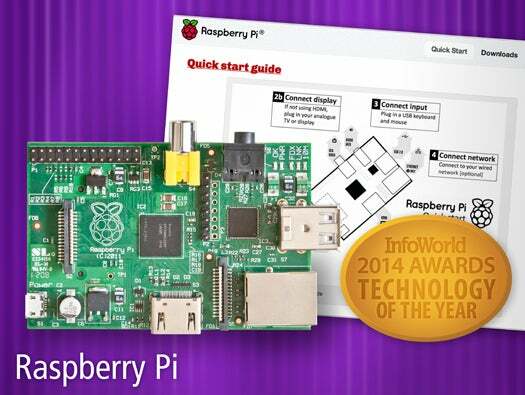 Designed to be an affordable learning tool for pre-college students, the Raspberry Pi has caught on with all age groups and skill levels. The hacker mentality within the Pi community has allowed it to flourish and produce some very interesting, creative, and seriously useful applications. Want to automate your sprinkler system and take weather forecasts into account? Want to build a system that enables quadriplegics to make music with their eyes? Want to learn Python? Go find a Raspberry Pi. With the need for big data processing trickling down from the luxurious few (Facebook, Yahoo, and so on) into the general market, Hadoop continues to stand out as the only platform suited for the job. In addition to being the ubiquitous option (and open source), the project isn't resting on its laurels. Hadoop 2.0, released in October, features a totally new way of mapping jobs, called YARN, that separates resource management from data processing and opens the door to additional processing frameworks beyond MapReduce. Say hello to flexibility, and know that Hadoop is still your go-to solution for big data. Servers and storage in remote and branch offices can be a challenge to back up and administer. Riverbed Granite brings these resources back to the corporate data center while still providing "like local" accessibility. Through a pair of Granite appliances, iSCSI and Fibre Channel SANs can be projected to the branch location, allowing local servers to access storage that lives in the central data center. Performance over the WAN does not suffer because of Granite's optimization technologies. The data remains under tight control in the data center, and backups can be managed centrally and performed right in the data center. In short, Granite lets far-flung organizations have their "branch office consolidation" cake and local branch resources too. Sublime Text is a flexible, powerful, extensible programming text editor that's lightning fast. For bonus points, it's also cross-platform. It supports syntax highlighting for more than 50 programming languages, and it can accept TextMate-compatible definitions for others. It has incredibly fast startup, file loading, viewing, and scrolling. Its editing and navigation functions are excellent, and it has simple integration with external build systems. Sublime Text is not an IDE, and it lacks version control integration, but it's just about everything you could want in an editor. Microsoft has a winner on its hands with Office 365. The company has successfully moved the whole IT infrastructure to the cloud and allowed customers to choose the balance (within limits) between on-premises servers and cloud-based services. For large enterprises with strict data controls and complex, diverse operations, Office 365 has no equal. For smaller organizations that rely on Word, Excel, PowerPoint, and Outlook to get their work done, it is still both manageable and affordable. Office 365 represents the first truly ubiquitous set of software products to go SaaS, and Microsoft has pulled it off, big time. One way to improve the performance of virtualization hosts (and increase virtual machine density in the bargain) is to reduce the I/O latency between those hosts and back-end storage. The PernixData FVP "flash hypervisor" does this through its innovative clustering of server-side flash storage in VMware vSphere hosts. A small add-in is installed into each vSphere host that allows you to create clusters among heterogeneous PCIe and SSD flash storage devices. The server-side flash caches both read and write requests, greatly reducing access to the SAN and improving response times by an order of magnitude. 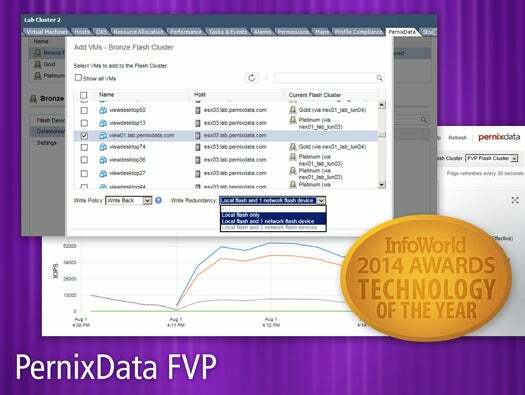 Because the flash cluster is shared among hosts, PernixData FVP fully supports VMware services like vMotion, DRS, and HA. 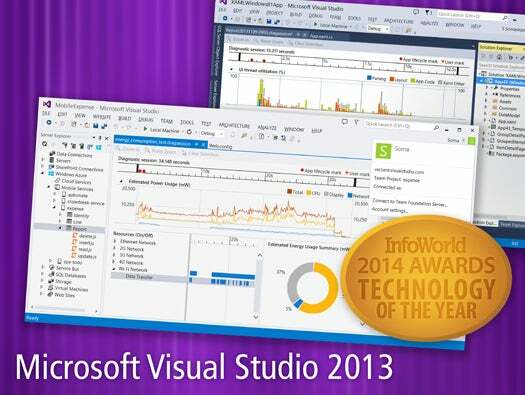 Visual Studio 2013 improves a developer's productivity in many ways: in the editors, in the debuggers, in the frameworks, in the wizards, and in the performance and diagnostics tools. Visual Studio 2013 Ultimate goes beyond development to unit testing, smoke testing, load testing, and all the way to continuous builds and release management. Among the highlights of an extensive IDE are a number of ALM enhancements, including the cloud-based Team Foundation Service; the ability to build and test in the cloud; Git support; and Codelens, which shows you version history comments and update notices in-line with your code. There's also the Peek Definition feature, which pops up a window with the definition you requested without disturbing your edit window. Out-of-the-box live templates spare you from having to explicitly re-render views. Computed properties come in quite handy, and you'll find yourself using them more than you might expect. On top of that, the documentation is thorough and continuously improving. If you haven't checked out Ember.js yet, now is the time. Founded by former Facebook and Google veterans, Nutanix knows how to build systems that scale. 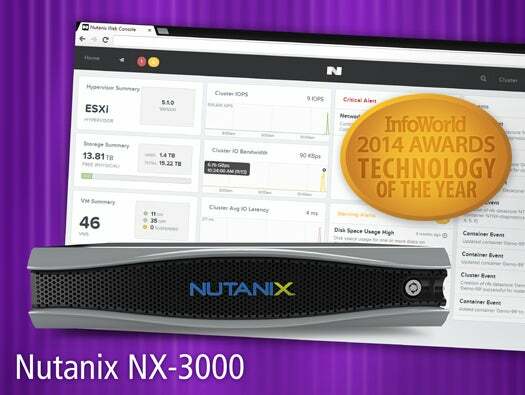 Combining commodity server hardware with a mix of highly modified open source applications and in-house developed code, the Nutanix NX-3000 is a killer virtualization appliance that eliminates the need for network storage and requires very little user intervention. All data replication and cluster management functions run inside a hypervisor-specific virtual machine, and all management and monitoring is handled via a customizable Web UI. A REST-based API provides hooks to the inner workings of the software and makes it easier to develop plug-ins for management platforms like VMware's vCenter Server. Nutanix supports VMware and KVM virtualization and recently added support for Microsoft's Hyper-V. The Synology RS10613xs+ is a 10-drive SAS/SATA storage system available in an all-flash configuration that delivers high-end performance at a remarkably reasonable price point. On top of that, support for the new ODX (Offloaded Data Transfer) feature of Windows Server 2012 and Windows Server 2012 R2 puts the RS10613xs+ in a class by itself. ODX delivers huge performance gains for any operation involving making a copy of an existing file within or between compatible storage devices. In addition to ODX, Synology's DSM 4.3 software release last year brought myriad other nice features, including tight integration with Microsoft Active Directory and remote access and sync apps for mobile devices. Necessity is the mother of invention, and what Facebook needed badly was a better way to run PHP. The company's previous method of increasing performance and reducing resource requirements -- selectively compiling PHP to C++ -- had become burdensome. The answer was HHVM, a virtual machine for PHP that uses just-in-time compilation to execute PHP code at near-native speeds. After much work, HHVM now runs a great many common PHP applications (such as Zend-based PHP) without modification. The recent addition of FastCGI support means you can run it alongside your favorite Web server. Facebook has been deploying HHVM in production since the beginning of 2013, and it offers the source code under a Creative Commons license (CC-SA 3). SaltStack Enterprise -- the commercially licensed and supported edition of open source Salt -- is a data center orchestration tool built with a heavy emphasis on scalability and speed. Designed for large-scale server environments, Salt is an extremely lithe, primarily CLI-based tool that can handle custom modules written in several languages, and you'll find a large number of modules to choose from. Salt can function in a master/agent scenario (for maximum speed), or over SSH, and additional speed and scalability are gained by utilizing asynchronous node configuration and an asynchronous file server. Salt's Web UI is still a work in progress, but admins looking for a very complete, fast, reliable, and CLI-oriented tool need look no further. If your data is straining the seams of your current database and the data schema fits the document-oriented paradigm, then look no further than the popular, open source MongoDB. Developed by the company of the same name, this distributed, cross-platform NoSQL database has plenty going for it -- not the least of which is the fact that a MongoDB cluster scales linearly to handle petabytes of data. Learning how to use MongoDB is facilitated by excellent online documentation, as well as free online material offered by MongoDB University. Managing a MongoDB cluster is made even easier thanks to free, third-party, browser-based management tools like RockMongo, UMongo, and phpMoAdmin. Version 4.0 introduced wizards that do the heavy lifting for developers, who can tap features for binary transport and delta messaging with minimal custom coding. If you're building any type of real-time Web application or scaling up client support for an existing app, you should be looking at Kaazing to reduce resource utilization and improve performance. Sourceforge used to be where open source projects lived. That was before GitHub redefined how source code should be hosted, managed, and made accessible; small wonder so many major projects now use it. GitHub's source control system makes it possible to track, automatically and in a granular way, the changes made to an open source project over time. Forking a project is as easy as clicking a button, and GitHub integrates directly with desktop coding tools to ease the code check-in/check-out process. And with GitHub, "fork" is no longer a four-letter word -- it's just a way to create a personal copy of the code. Changes can just as easily be submitted back to the core project. 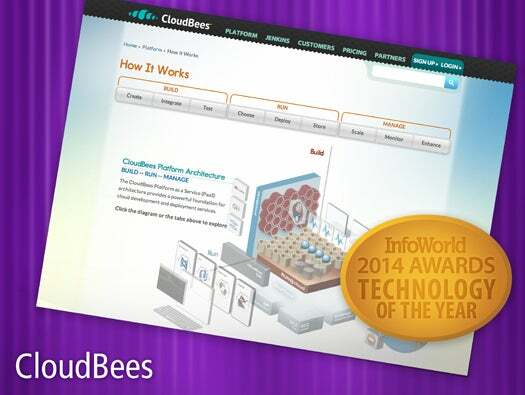 CloudBees is a rich PaaS ecosystem that supports the entire lifecycle of Java development. The biggest strength of CloudBees, however, courses through the pipeline of continuous delivery it enables. Privately hosted SCM and Maven repositories trigger Jenkins builds, which then push your app through staging and production for you. CloudBees is also adoption friendly, providing a large collection of ClickStarts that spin up all of your project scaffolding -- application, database, source repo, build pipeline, everything. Java and JVM-based derivations are CloudBees' specialty, but it also supports PHP, Ruby, and Node.js projects. One of the most innovative server designs of the year, the Dell PowerEdge VRTX "cluster in a box" combines up to four individual blade servers with up to 32 small-form-factor disk drives, or the option to use large-form-factor drives. It's an ideal hardware setup for virtualizing a branch office infrastructure or even certain small to medium-size enterprise workloads. You can deploy this powerhouse in either a free-standing tower or rack-mount configuration, and you won't believe how quiet this unit is -- it's truly as much at home in a small office as a data center. About the only complaint we could muster was the lack of built-in 10Gb Ethernet. In the world of data center storage, the HP 3PAR StoreServ 7400 modular array is royalty. Setting the HP 3PAR StoreServ apart from the competition is an underlying architecture designed specifically to eliminate the performance bottlenecks and failure modes of traditional block storage systems. Tight integration with VMware and support for the Storage Management Initiative Specification make the HP 3PAR StoreServ a perfect target for virtualization workloads. New all-flash models from HP 3PAR deliver high-end performance in basically the same package and integrate into the same management infrastructure. You can mix and match disk-based and flash-based units as requirements dictate, and draw on all the same HP 3Par features that substantially ease the burden of managing storage. But the effort of learning D3 is richly rewarded. The variety and beauty of the graphics D3 can achieve is simply dazzling. Thankfully, there are plenty of tutorials and sample code available at D3's website to get you started. With end-user features, permission controls, reporting, app integrations, APIs, and single-sign-on options second to none, Box provides cloud-based file storage and synchronization services that even an enterprise can love. The list of good things in Box is seemingly endless: file versioning (up to 20 per file depending on the account level), discussion threads for files, direct integration with Microsoft Office (including Outlook) and Google Docs, and so on. Add the wealth of third-party apps and extensions available -- for FTP, VPN, device management, CRM integration -- and you understand why Box is widely imitated but never fully surpassed. The use cases for Neo4j keep piling up as people realize graph databases are not as niche as they thought. Our existence is highly connected, and our data reflects that. 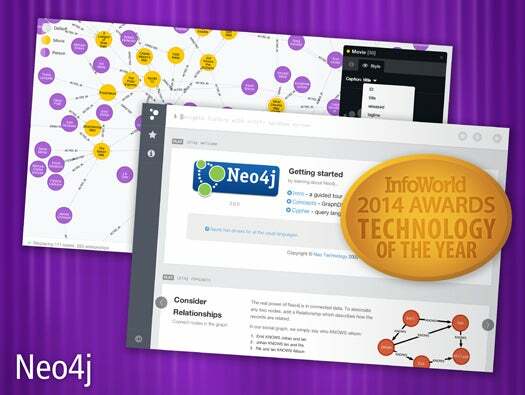 When you need to query and traverse relationships efficiently, Neo4j is the clear winner. It's impossible to mention Neo4j without talking about Cypher, an intuitive, easy-to-read, declarative query language developed for Neo4j that makes it enjoyable to write graph queries. If you've dealt with Gremlin or SPARQL, you'll be skeptical of that claim for "enjoyable," but a quick tour of Cypher is all it takes. You'll be taking the red pill in no time. Often, a solid, industry-leading product will sag under the weight of success. 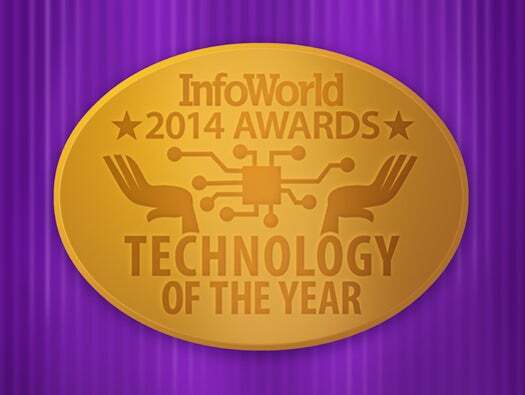 Not so with Veeam Backup & Replication, which continues to improve with time. With the release of version 7, Veeam added features like WAN acceleration, the ability to back up from SAN snapshots (only on the HP P4000 for now), enhanced support for Microsoft Hyper-V, support for VMware vCloud Director, and even native support for tape. Best of all, Veeam has still maintained its reputation for reliability and stability -- two of the most indispensable features of any backup product. One could easily argue that dependability is Veeam's most important innovation of all; I know it's the one I value most. The single most powerful thing you can do this year is to enable your developers with a fast and flexible PaaS. Cloud Foundry fits the bill nicely, and the ease of deployment is the same whether you're deploying a Node.js prototype or a Java project with scads of external services. One of two major private PaaS contenders (along with Red Hat's OpenShift), Cloud Foundry boasts broad language and framework support, seamless integration of supporting tools, impressive corporate backing (IBM, Intel, Verizon), and an ecosystem of compatible providers (Pivotal, AppFog, CenturyLink). Pivotal's hosted version connects you to *aaS providers (MongoDB via MongoLab, RabbitMQ via CloudAMQP, New Relic services), but is easily configurable for your custom services. Rising above the crowd in cloud-based business intelligence, the Birst platform for ad hoc data mining, reporting, and predictive analytics marries a superb breadth of functionality to a highly usable front end for desktop and mobile. 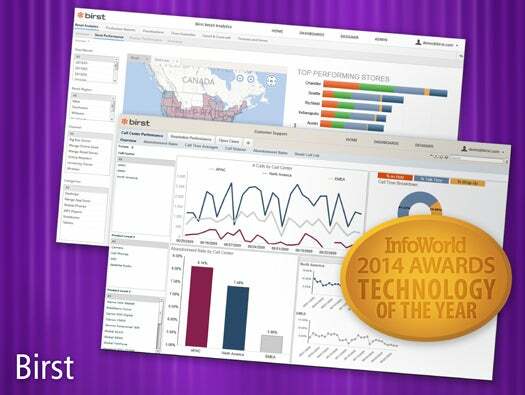 End-users can quickly assemble interactive dashboards and data mashups with zero coding. Search and query recommendations -- via the new Birst Visualizer -- add a guided experience in data visualization. While early adopters of Birst have primarily been small and midsize businesses, the company's focus on Hadoop tools to auto-generate data marts, create MapReduce queries, and tap Amazon Redshift should help win over enterprise converts. The Internet of toothbrushes, refrigerators, and thermostats sounds great in theory, but some practical problems stand in the way of wider adoption. Different protocols and manufacturers make it difficult to mix and match hardware, effectively locking you into a single source. 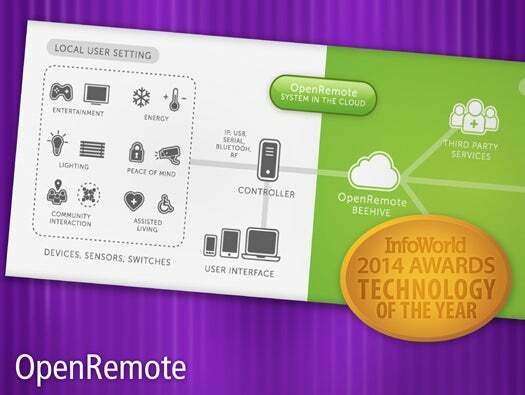 OpenRemote is here to address those problems. Acting as a gateway to a range of different hardware devices and protocols, this open source solution makes it possible to buy the best hardware for the any job. Whether you're trying to be more efficient with energy consumption or provide better accessibility to those with disabilities, OpenRemote is an indispensable tool to bring your devices together. A must-have complement to your traditional network monitoring solution, PathSolutions' TotalView shifts the focus from the devices themselves to the links between them, so it's easier to locate network bottlenecks and determine the root causes of problems. Though TotalView concentrates on the bane of VoIP traffic (latency, jitter, and loss), these same stats are harbingers of big trouble in any corner of your network. When your traditional network monitoring system only tells you that you are getting errors, TotalView will help you find the patterns behind the failures. It's like having a network analyzer on every switch port.